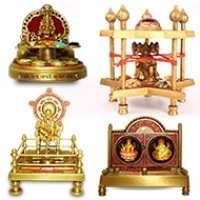 India’s multifarious age-old culture is adorned by various pujas such as Shiva puja, Durga Puja, Lakshmi Puja, Vastu Puja and other various Hindu ceremonies. All the Vedic literatures right from the Four Vedas, Puranas, Itihasa, Upanishands to the great epic Mahabharata and the Ramayana mention the performance of Puja/Pooja (prayer rituals) for appeasing the deities. 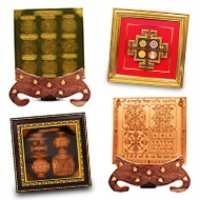 Additionally, the concept of Puja/Pooja is also used in the context of revering the presence of a special guest or the memories of the departed. 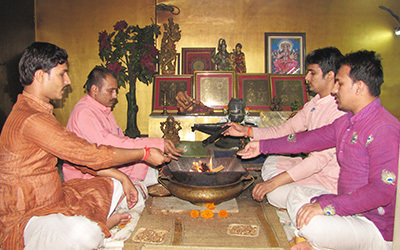 In their broader sense, pujas can be performed for a number of ceremonies, occasions and festivals such birthdays, marriages or new professional ventures. 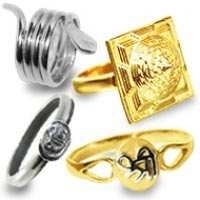 They are held at homes, temples or at the inaugural ceremonies of events. Pujas are however not obligatory rituals. 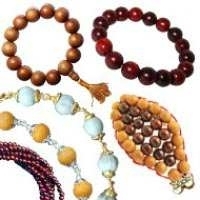 One can perform on a daily basis or simply offer prayers to the deities on special occasions. 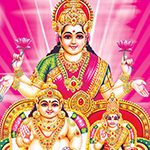 The idea or concept of Puja differs from the various schools of thoughts in Hinduism. 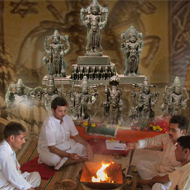 Primarily it splits into Nigama rituals and Agama rituals; the former contains Agni (fire) without a deity image or idol and the latter includes the deity idol or image. A worshipper lights up a diya (oil or ghee lamp), chants mantras, sings Vedic hymns in praise of the Divine. 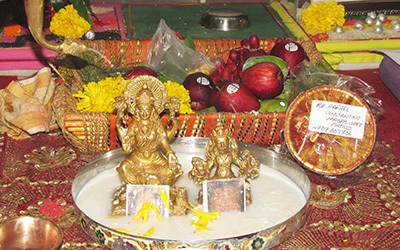 Then eatables (fruits and sweets) are offered to the deity. 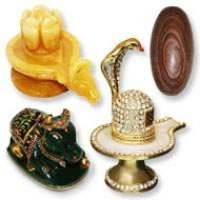 These eatables after prayers become purified and become prasadam (blessed or holy food) shared by all. 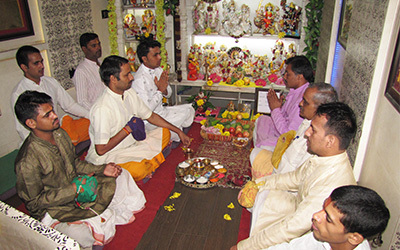 Rudra Centre Puja Services now has its own beautiful Puja services temple in the holy city of Trayambakeshwar. 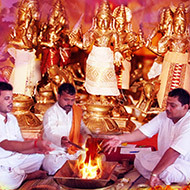 Pujas and rites such as Kalasarpa Dosha Nivaran Puja, Rudra Abhishek, Mahamrityunjaya Jaap, Pitru Dosha Nivaran Puja, Narayan Nagbali, Tripindi Shradh are performed here. Trimbakeshwar is the place where sacred river Godavari originates. 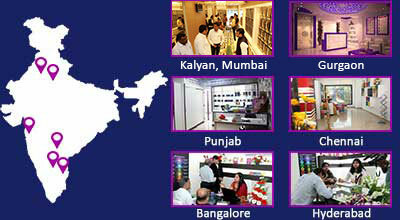 It is home to one of the 12 Jyotirlinga temples and one of the most holy cities for pilgrimages. 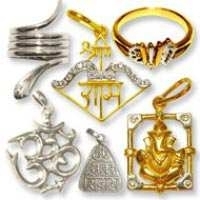 Now with Rudra Centre Puja Services, devotees from all over the world can get their Pujas or rites performed right in Trimbakeshwar, Nashik by Karamkandi Pundits. 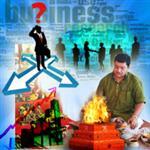 What is the significance of Puja? 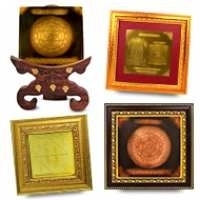 Vedic rituals mostly revolve around asking the gods for their favor for material gains and fulfillments and success in court cases, against adversaries and for enhancement in personal and professional life. There are rituals for realizing one’s eternal unions (oneness) with the Supreme. 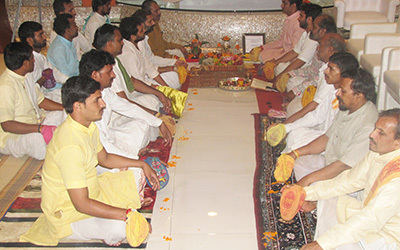 The overall Vedic philosophy behind a ritual is to attain Dharma (religion), Kama (fulfilment of desires), Artha (Economic prosperity) and Moksha (liberation). 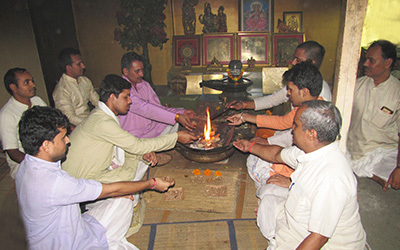 When a ritual is performed under qualified Pundits, thoughts and vibrations of spiritual and cosmic forces are drawn toward the homa fire which in turns creates a defensive shield around you. 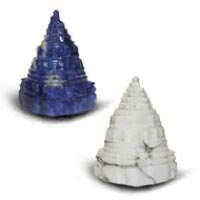 These divine forces remove the negative influences from personal and professional aspect of your life. All this in turn blesses with peace of mind, material affluence and the revelation of your true nature. 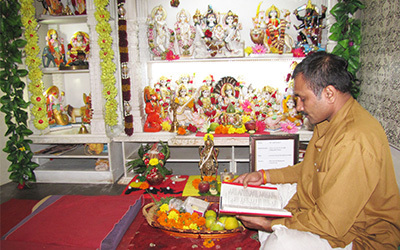 Every Hindu (followers of Vedic customs) family has a temple or a temple room in their home dedicated to the deity worship. They also visit temples in order to offer obeisance to the idols which are installed after ‘pran prathistha’. Praying at home although faithful is not as effective as praying in temples. However, it does not mean worships at home are of lesser importance. Vedas mention that the Divine can be remembered anywhere irrespective of places provided the worshiper worships selflessly and humbly. Worshipping at temples doubles your prayers on its own as the temples are ‘vigrahas’ (idols) that are installed with Praan Prathistha mantra and infused with vedic mantras, cosmic sounds of bells, bhajans, bhakti, devotional songs and rituals. 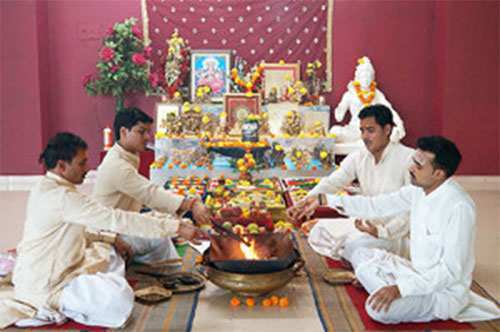 Ritual Pujas are best conducted under able Brahmins or priests who know Vedic rituals in detail and mantras dedicated to the same. 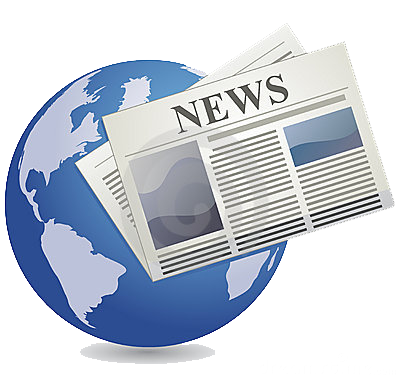 Avahana (“invocation”): In the first step, the deity is invoked and invited into the house. Asana: A seat ‘Raaj Gaadi’ is offered to the deityt. Padya: Next is the holy washing of the deity’s feet. Arghya: Holy water is given so that the deity may wash his/her mouth. Abhisekha: Bathing the entire deity with holy water. 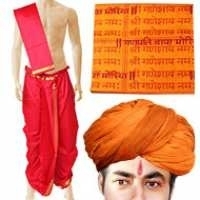 Vastra: A pure and sanctified piece of clothes are put on the deity. 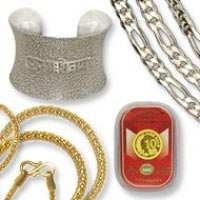 Upaveeda or Mangalsutra: This step involves the sacred thread to be put around its neck. Anulepana or gandha: It involves scents such as ittars, floral waters are applied to the deity along with sandalwood paste or kumkum. 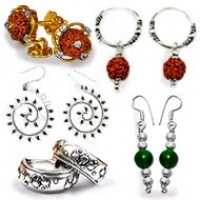 Pushpa: This step is important as it includes offering fresh flowers to the deity. No only flowers but also the garland of flowers. Dhupa: Once floral veneration is done, next is to light up the incense sticks. Dipa or Aarti: After the sticks, diyas (oil/ghee lamps) are burned and waved in front of the deity. Naivedya: This step involves the exchange of devotional affections. Food items such as cooked rice, fruits, clarified butter, sugar, betel leaf and the like are offered. Namaskara or pranama: Now the devotee bows down and offers homage chanting the mantras dedicated to the deity. Pradakshina: Then moving around or circumambulating (Pradakshina) the deity and offering the prayers followed by bowing down and leaving. This is the standard worship of the deity followed by qualified pundits. 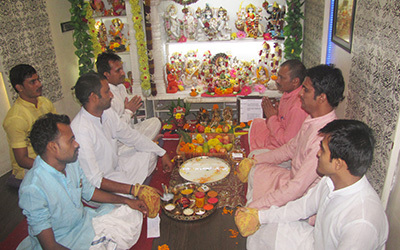 Puja in Hinduism, is a path and process of transformation of consciousness, where the devotee and the spiritual significance of the deity are brought together. 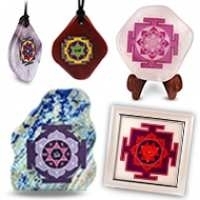 This ritual puja process is considered to be liberating, releasing, purifying and a form of Yoga of the individual self with the supreme consciousness. Dhyana: It means meditation focusing on the deity in one’s mind and heart. Acamanıya: Devotees offer water to the deity who sips it. 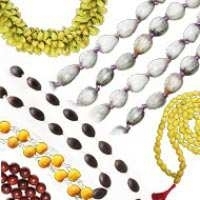 Aabaran: Next is the step of divine embellishment. Devotees bedeck the deity with ornaments. 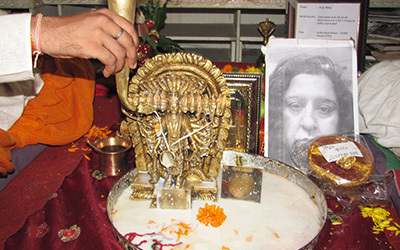 Visarjana or Udvasana: Then devotees move the deity from the seat. We have an old-age belief those devotees who conduct Puja and offer prayers to the God, they never return with empty hands and all their wishes get fulfilled. 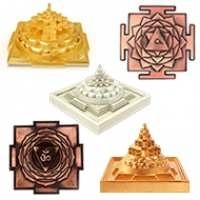 When you do puja, God blesses you, puts you on the right path and connects you to the right persons and opportunities. Perfect devotion and work with repeated efforts collectively helps you success in life and fulfills your desires. 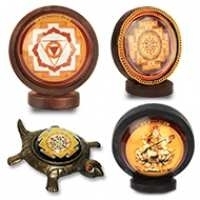 Pujas such as Shanti Pujas and Dosh Nivaran Pujas are also very beneficial to ward off negativity. Pujas are powerful and effective practice in one’s spiritual journey on the way to enlightenment. 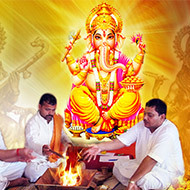 In addition to general Pujas; special pujas are performed during various occasions and events. 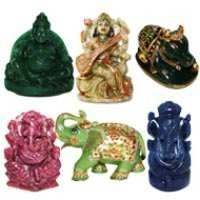 For example Shravan pujas during the month of Shravan are quite beneficial for you and your entire family. 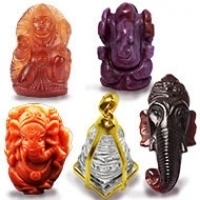 Rudra Centre Puja Services provides online Puja Services and also conducts Pujas at various Hindu temples for devotees. 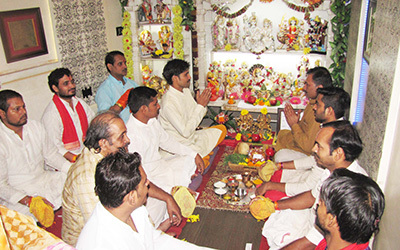 Rudra Centre conducts Pujas in its own Temple installed in its office premises in Mumbai. A beautiful temple has been created with divine idols in pure makrana marble which are duly installed with pran prathistha mantras. 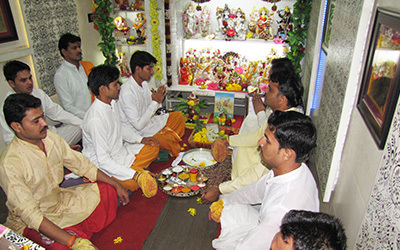 Rudra Centre has a team of well-versed, karmakandi priests from Shivkashi Temple who perform Pujas as per Vedic rituals. 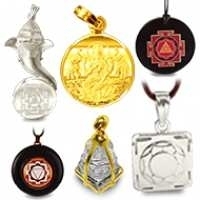 You may call the Pundits for hearing your Sankalpa (wish being taken) over Skype and would receive blessed Prasad and photographs/ DVD of the worship ritual. 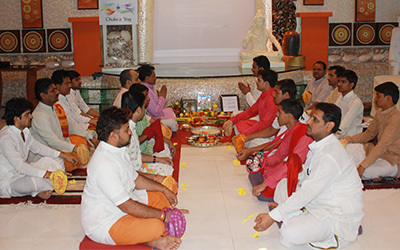 For more than a decade, Rudra Centre has been conducting Pujas like Ati Rudra, Mahamrityunjaya Yagna, and Siddhi Laxmi Yajna for the benefit of mankind. 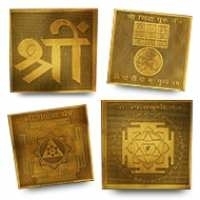 For Frequently Asked Questions (FAQs) on Vedic Puja.